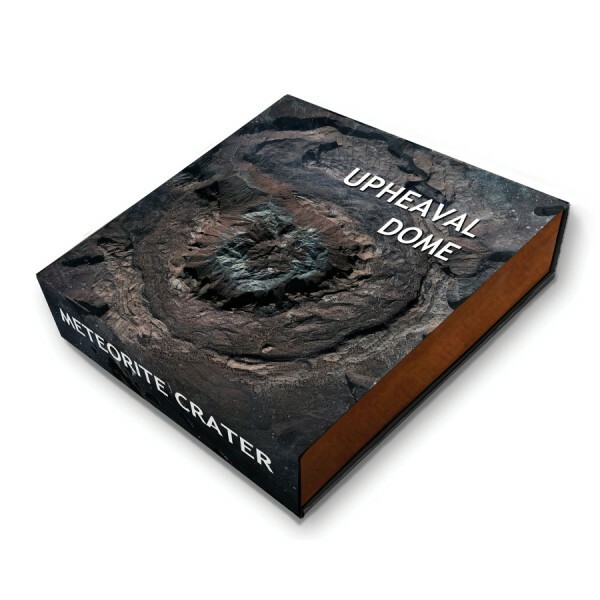 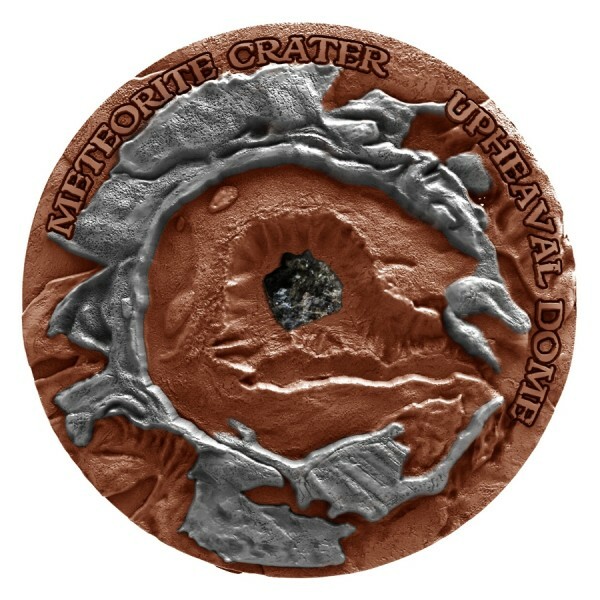 This beautiful 999 fine silver is the sixth release in the “Meteorite Crater” series and depicts the Upheaval crater, an authentic geological beauty. 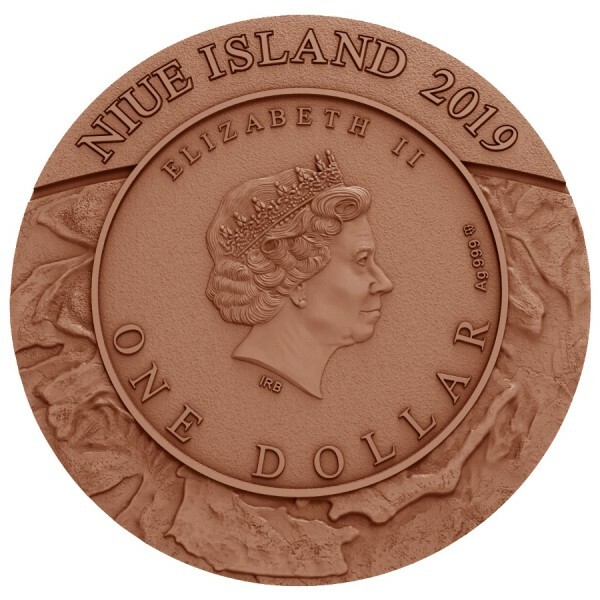 The coin features an authentic fragment of a meteorite insert, it has a Red Antique Finish quality. 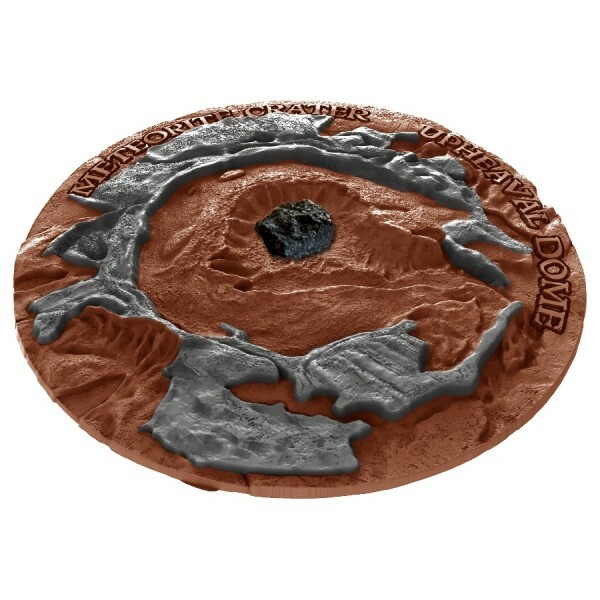 This coin is very rare, and it's mintage is limited to 666 coins globally, get yours today!